Period. End of Sentence, a film set in India on the taboos around menstruation has won an Oscar in Documentary Short Subject category. Produced by Guneet Monga and directed by Iranian-American filmmaker Rayka Zehtabchi, the film was shot in 2016 and is currently available on Netflix. The film is created by The Pad Project, an organisation established by an inspired group of students at the Oakwood School in Los Angeles and their teacher, Melissa Berton. The 26-minute film follows girls and women in Hapur, Uttar Pradesh in northern India and their experience with the installation of a pad machine in their village. Period. When a sanitary pad vending machine is installed in the village, the women learn to manufacture and market their own pads, empowering their community. They name their brand "FLY". Dedicating the award to her school, Berton said the project was born because her students in LA and people in India wanted to make a "human rights difference". "I share this award with the Feminist Majority Foundation, the entire team and cast. I share this with the teachers and students around the worlds - a period should end a sentence, not a girl"s education," she said. Neha Dhupia took to Twitter to congratulate Guneet Monga and team on this big victory. 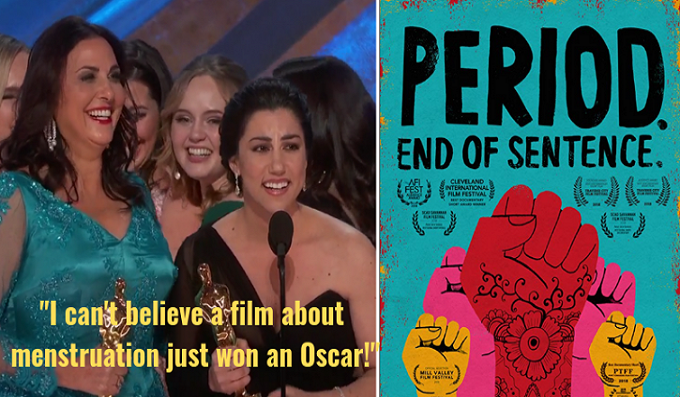 She wrote, ""What a great time for women in film... congratulations @guneetm and @sikhyaent on your #Oscar win for #Periodendofsentence ... what a huge moment. We are all so proud of you. Time to tune into @NetflixIndia n watch this beautiful documentary all over again!" What a great time for women in film... congratulations @guneetm and @sikhyaent on your #Oscar win for #Periodendofsentence ... what a huge moment. We are all so proud of you. Time to tune into @NetflixIndia n watch this beautiful documentary all over again! Filmmaker Anurag Kashyap and music maestro AR Rahman also congratulated Guneet Monga. Other documentary shorts nominated in the category were "Black Sheep", "End Game", "Lifeboat" and "A Night at the Garden". Earlier, two Bollywood films have been made on menstrual hygiene. 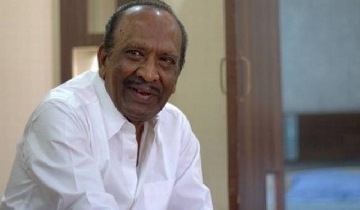 Akshay Kumar starrer PadMan directed by R Balki was a biopic on real-life Pad Man Arunachalam Muruganantham, who made low-cost sanitary napkins despite being ostracised by his village. Fictional film Phullu directed by Abhishek Saxena also aimed at spreading awareness about menstrual health.